Fast food chain McDonald's has recalled 12m drinking glasses promoting the new Shrek movie because painted designs on them contain the toxic metal cadmium. The glasses have been sold in the US for about $2 each and are available in four designs depicting the animated film's main characters. The US Consumer Product Safety Commission (CPSC) warned consumers to stop using the glasses immediately. Cadmium can damage the liver, kidneys, lungs, nervous system and brain. In the case of the Shrek glasses, there are concerns about long-term exposure to low levels. The metal could leach from the paint onto a child's hands and then enter the body if the child put the unwashed hand to his or her mouth. McDonald's said it was asking customers to stop using the glasses "out of an abundance of caution". "We believe the Shrek glassware is safe for consumer use," said McDonald's USA spokesman Bill Whitman. "However, again to ensure that our customers receive safe products from us, we made the decision to stop selling them and voluntarily recall these products, effective immediately." 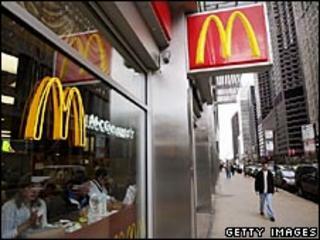 CPSC spokesman Scott Wolfson said: "A very small amount of cadmium can come to the surface of the glass, and in order to be as protective as possible of children, CPSC and McDonald's worked together on this recall." He said the amounts of cadmium that had leached from the paint in tests were "slightly above the protective level currently being developed by the agency". He added that the glasses had "far less cadmium" than items of children's metal jewellery recalled by the CPSC this year. Shrek Forever After, the fourth and final film in the Shrek series, was released last month in the United States.